You have reached the official website of J.N. Duggan, author of historical biographies. Browse our pages for further information about the author, her published and forthcoming works, which are available to buy online in print and e-book editions, as well as in all good bookshops. J.N. Duggan is the author of the highly praised biography of Sophia, Electress of Hanover (1630-1714) which is published by Peter Owen Publishers (2010). She has also written a short biography and critical appraisal of the Irish rationalist philosopher John Toland (1670-1722). She is currently working on a forthcoming life of Hans Axel Fersen (1755-1810), friend and confidante of Marie Antoinette. Other projects that she is involved with, in an editorial capacity, include the re-issuing (in print and e-book editions) of various writings of John Toland (1670-1722). All of these Books by J.N. Duggan are available to buy online from this website. E-book editions, in all the common formats, are available through Kindle and Smashwords, which are linked to from this website. See our online bookshop for more details. You can contact the author through this website. You can also keep in touch by signing up for e-mail alerts and news updates. We also provide a Visitor Gallery, where you can leave comments, get feedback from other readers, discuss and exchange opinions about the subject matters covered in J.N. Duggan's interesting and diverse literary output. Books by J.N. Duggan are published by Peter Owen Publishers and The Manuscript Publisher. 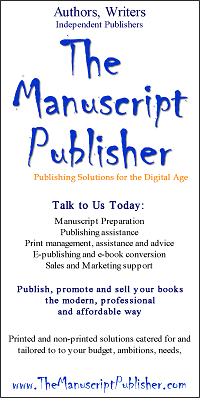 Receive e-mail news updates from Books by J.N. Duggan including advance notification about new publications and publishing projects.